I personally believe that good wines can be made anywhere provided that the soil and climate is suitable and the responsible vintner is good at interpreting the nature through the grapes. However, I also do believe that, for the best wines, it is a different story. They cannot be made anywhere and Riesling is a fine example for that. This grape variety is so related to Germany just like Cabernet Sauvignon/Merlot to Bordeaux and Pinot Noir to Burgundy. No other place can do it like Germany does, producing Riesling that are crisp, light, fruity, mineral, balance and very food friendly. You just have to try it to understand what I mean. What a lot of people haven’t realize yet is that there are more to Germany than just Riesling. And the thing is… I happen to be living in Germany so I have came across many good and best examples which I really enjoying talking and writing about. So, for those who are not yet familiar with German wines, here are some interesting quick facts to help you get started. There are in total 13 growing regions in Germany. Three of them, the Saale-Unstrut, Sachsen and Hessische Bergstraße, are less well-known and of less importance so I will just skip them. The other nine regions are more interesting and are all concentrated along the Rhine river or its tributaries on the west and south-west of Germany. I will just go through each of them shortly and will try to write more about them later. As a rule of thump for the German wine regions, the cooler the climate is, the more dominant Riesling is. On the other hand, the warmer the climate is, the more diverse the planted varieties are and the more often the local varieties can be found. And only for Riesling, the cooler the climate is, the sweeter the produced Riesling tends to be. While there are definitely exceptions for this generalization, keeping this in mind will help you understand the German wines better and, from the north to the south, the climate is getting warmer and warmer. Starting with the Ahr area along the, of course, Ahr river. 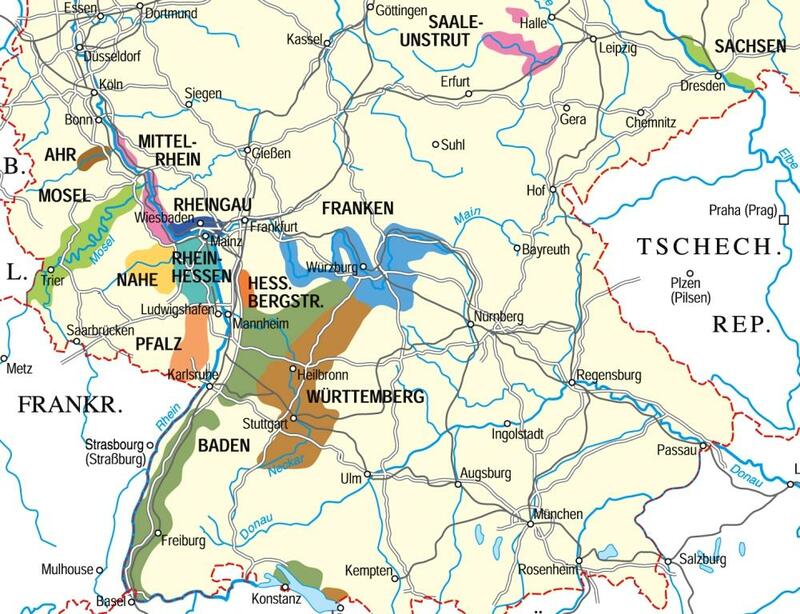 This is the northern most of the 10 regions on the west side and the one of the only two regions in Germany where red wine dominates (the other region is the Württemberg further to the south) with 85% of the area planted with red vines and 62% with Pinot Noir. Fine examples of Pinot Noirs (or Spätburgunder in German) can be found here. Next come the Mittelrhein along the Rhine river between the city Bonn and Bingen. There are not so many famous sites and producers here, but, lately, the overall quality is improving significantly. Then comes the Mosel, formerly know as Mosel-Saar-Ruwer. This is probably the most well-known region outside Germany where the world best and most expensive off-dry and sweet Rieslings originate. 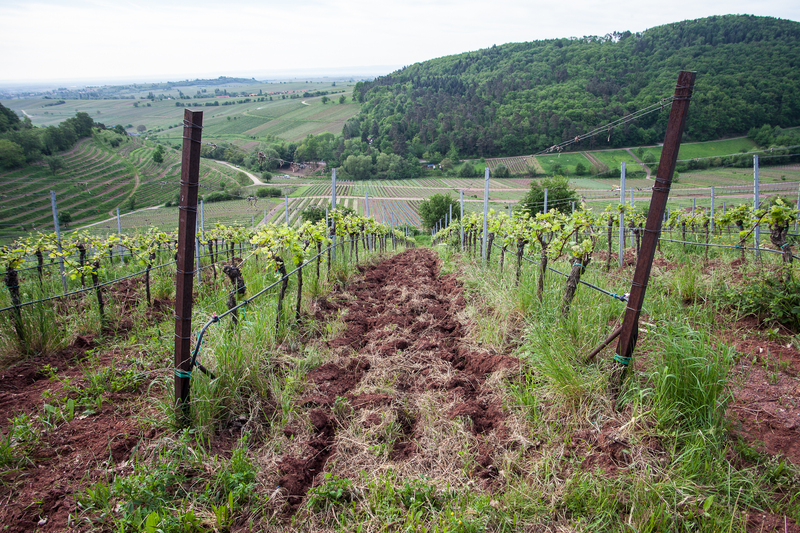 Because of its cool climate, best wines are made from vines growing on very steep slopes (60 – 70 degree) facing south with the highest exposure to the sunlight. High percentage of slate in the soil and the water body of the river are also as important since every grapes here have to fight for ripeness. The result? Wine of superb balance and concentration with loads of fruit and mineral, yet with low alcohol. At Bingen, the Rhine makes a bend to the east and along its northern side lies the Rheingau, a region with the highest percentage of area planted with Riesling (79%). Both excellent dry and off-dry style can be found here as well as some fine Pinot Noirs. Starting again at Bingen, but this time to the south west, lies the next region, the Nahe. It is a small region but with micro climate and soils so diverse that a broad style of Riesling can be produced, from excellent dry, refreshing off-dry, to deliciously sweet wines. After the Nahe, come the two biggest wine growing regions in Germany, the Rheinhessen and the Pfalz. Bigger is the Rheinhessen with 26,523 ha., followed shortly by the Pfalz with 23,445 ha. These two are probably the most dynamic regions in Germany with a lot of young and motivated vintners who produce very exciting wines. The climate here is warmer and the wines produced are drier. Riesling is less dominant and other typical German varieties, e.g. Müller-Thurgau and Dornfelder, are beginning to be found. 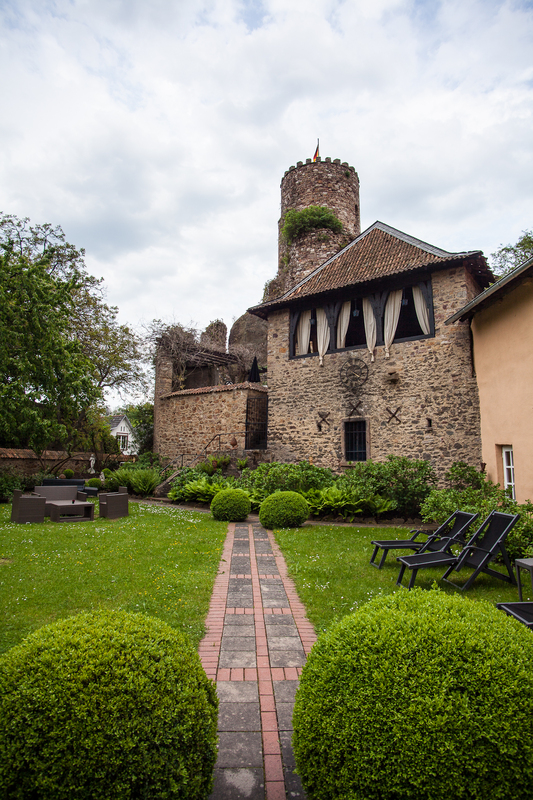 Rheinhessen is also the home to the Liebfrauenmilch, a wine which is the reason for the false perception of German wines as cheap, sweet and flabby. To the east is Franken, a home to the so called “Bocksbeutel”, a flat eclipse wine bottle used only in this region. Here Riesling makes way for the more typical grapes such as Müller-Thurgau (internationally known as Rivaner), Silvaner and Bacchus. Further to the South on left bank of the Rhine along the boarder to France is Baden, the warmest of all the 13 regions. It stretches some 400 km from north to the south over different soils and climates resulting in a more diverse style of wine but, because of the warm climate, Riesling are not so easy to find; however, excellent Pinot Noirs and Pinot varieties wines can be found. The last region is the Württemberg, another region besides the Ahr where red wine dominates. 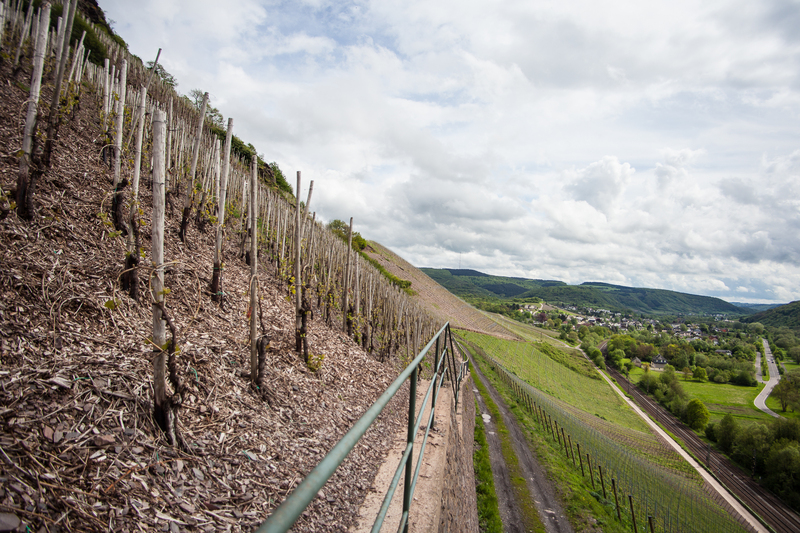 Nevertheless, the vines grown here are more diverse and more typical consisting of local varieties such as Trollinger, Schwarzriesling and Lemberger which are hardly to be found outside the area. For more detail about the growing areas, please visit the German Wine Institute website (www.deutscheweine.de). I have also provided the links to the specific pages in the text above, so feel free to click on the names to learn more. And finally here are some numbers about the regions, starting with the largest. Cool! May i reblog this on my blog?